Club Nintendo Rewards Include Super Mario RPG and Punch Out!! It's that time of the month again! The time to wait and see if your effort spent filling out surveys and waiting for better Club Nintendo rewards was well worth it, and this coming February has some pretty snazzy games waiting for you to spend your hard earned coins on. 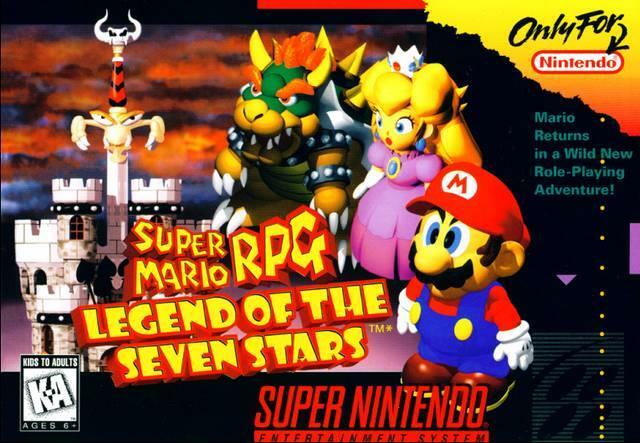 The king fish of the bunch is easily Super Mario RPG: Legend of the Seven Stars. Back in the mid-90s, the JRPG genre had been taking off with several late generation classics on the Super Nintendo, like Final Fantasy III and Chrono Trigger, but the looming presence of the PlayStation and Final Fantasy VII put Nintendo in a corner. Nintendo, who did not yet have any experience in the genre, needed to act fast with the only idea it had that could make a serious dent: put Mario in his own RPG. It contracted Square to get the job done, as it was the hottest RPG company at the time, and the results were absolutely brilliant. Super Mario RPG: Legend of the Seven Stars is a wonderful standalone game from start to finish, full of self-referential humor, fun combat, excellent level design for a platforming based RPG, and two characters Nintendo fans have been begging to see again in a new game: Mallow and Geno. Square never followed up on this smash hit, but its spirit can still be seen today in the hilarious Mario & Luigi RPG handheld series developed by AlphaDream. It costs 200 coins to get the game on your Wii U through the Virtual Console, but I already have it through the original Wii. I wonder if it would be more worth it just to cough up the quick dollar to transfer it over. These coins don't come cheap! The other great game of the bunch is Punch Out!! Featuring Mr. Dream. It's a fun game, but remember kids, this is not the version with Mike Tyson, meaning it is not the version I will be putting down my coins on. Rounding out the rewards are Pictobits and the NES rom for Donkey Kong Jr., which I am a little tempted to pick up. I only ever played the Colecovision version of Donkey Kong Jr. and feel that it is time to rectify that. Even if it's not the original arcade, it's still on a Nintendo platform at least. Anybody else looking to pick anything up this month? Anybody else play the Colecovision version of Donkey Kong Jr.? It was a blast!